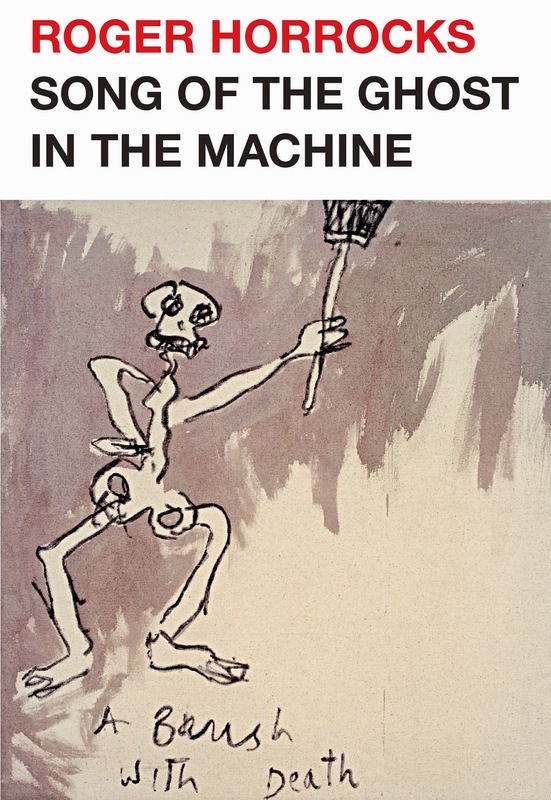 Poet, filmmaker and biographer Roger Horrocks has a new poetry collection, Song of the Ghost in the Machine out now. Ahead of his launch at Gus Fisher Gallery in Auckland on this Wednesday, we asked him a few questions. You say about writing poetry that it is 'almost always a process of looking inside’ – do you think that poetry in particular equips you to do this better than say with prose? Why use poetry to put these thoughts in order, and not say, an essay? Poetry is like music in that it requires a writer to take great care with the rhythm. I enjoy that challenge. At the same time, I think too many contemporary poems are as short and limited in scope as generic pop songs. Poets paint themselves into a corner by feeling they must be lyrical in a conventional way. I like lyricism but I also want poetry to think and argue more. What’s wrong with the idea of a ‘poem essay’? Lucretius wrote a famous one – “On the Nature of Things” around 40 BC – and there have been plenty of later examples, from Pope to Blake to Stevens. Song of the Ghost in the Machine is divided into 11 different sections ‘melancholia’, ‘self’, ‘sleeping and waking’ - did you set out to write on particular subjects or did the material accumulate into what I’d almost like to term a poetic-essay? I’ve always admired the omnivorous kind of long poem that has the appetite to absorb everything – grab-bag poems like Williams’ Paterson, Pound’s Cantos, or Silliman’s Alphabet. I can’t claim to be in their league, but I have also set out to write a book-length poem that will swallow as much of life as possible, in a year of writing. The book also seems to be a way to explain what it is to exist – both physically and spiritually (or metaphysically) – is this a fair description of what you’re doing with this book? Poetry is almost always about what’s been called ‘the experience of experience.’ But mostly we stay close to the surface of our lives, writing about ourselves and something we’ve seen or felt, so it’s rather like a ‘selfie’ in words. This time I wanted to go deeper and ask basic questions about what it’s like to be alive, the rock-bottom facts of human life. Scientists have a lot of interesting things to say on the subject, and I quote a number of them, but the way we consciously experience our lives remains a mystery. Scientists refer to this puzzle – how the lump of meat which is our brain produces our personal feelings – as ‘the hard problem.’ Some scientists see our cloud of thought as a kind of mirage and call it ‘the ghost in the machine’ – hence the title of my book. But as the poet John Donne – and the artist Colin McCahon – put it, ‘Each of us has one world, and is one.’ This book happens to be my world, inhabited by a freewheeling ‘ghost,’ and these are its curious songs. Can you make an argument for poetry? As a publisher of poetry, we’re in a minority – with diminishing attention and readership as people turn to other forms of entertainment and ways to use their time – what is it about poetry that gets you excited? What would you say to a reader to get them interested in your own work? Quoting from your poem ‘The Daybook’: ‘All thinking is wishful, all questions are rhetorical […] There’s no escape/from double talk’. Is writing somehow getting beyond cheap talk or simply another form of wishful thinking? There is a lament for pen and paper, the physical book in your poem ‘Evolution’ . How is this lament tied to your own thinking and writing? I can’t imagine anyone who has learned what the Internet has to offer wanting to give it up. But we do need to be aware that every powerful new technology comes with a downside as well as an upside. Otherwise, before we know it, we have swallowed the problems as well as the perks. The Web yields a marvelous wealth of words and images, but it may encourage us to respond to overload by developing a faster, superficial style of reading. The Internet specializes in quick answers, headlines and sound bites. Studies like Sherry Turkle’s Alone Together and Maryanne Wolf’s Proust and the Squid provide evidence of the mental and social changes this can produce. For some people, life on-line is like a constant diet of fast food. In contrast, reading a book can exercise a different set of mental muscles, which is just as important for adults as for kids. A book stretches our attention-span and reminds us of the benefits of looking at a subject in depth. Poetry offers this experience in an especially heightened and engaging form. As a reader, I think of myself as having a range of different speeds – there are times when I need to surf through a stack of documents at top speed, but I also value the opportunity to change down to first gear and move slowly through a particularly rich, concentrated piece of writing. I never imagined that books could become an endangered species, but this will happen if we don’t continue to buy them and keep flexing the reading and thinking muscles they have helped to build. 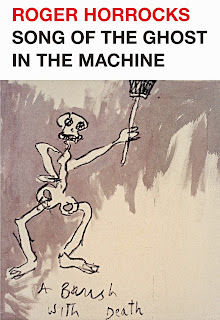 Song of the Ghost in the Machine is out now. You can buy it through the best booksellers or on VUP's online bookshop. p/b, $25.